The Birmingham Mail reports on another incident of racist and Islamophobic graffiti at a Birmingham University building. It is the third occurrence this year of graffiti appearing on the university campus. In the latest attack, the words ‘Kill Islam before it kills you’ were sprayed on a storage box near sports pitches at the University of Birmingham campus in Edgbaston. 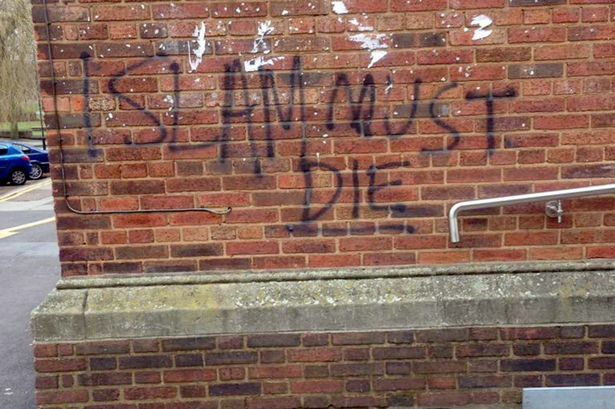 A second hate message ‘Islam must die’ was found on the wall of the Guild building. In January, the very same words were daubed on the psychology department’s building. The latest incident was discovered early on Saturday morning and subsequently reported to the police by a member of university security staff. It is now being treated as racially aggravated criminal damage by the police. The local paper further reports that toilets at the university’s arts block have also been vandalised with the words ‘kill Islam before it kills you’ daubed in red ink on the stall doors. Police have speculated that the incidents are related. A Birmingham university spokeswoman stated: “We unreservedly condemn the racist graffiti on campus. “Our University is a community of 150 nations and we are proud to be situated in a vibrant multi-cultural city. Similarly, the university’s student union, Guild of Students, condemned the incident and further acknowledged that the removal of the graffiti is insufficient to ensure the safety of students on campus. The local paper reports the incidents in January resulted in some students reporting feeling too threatened to attend lectures.